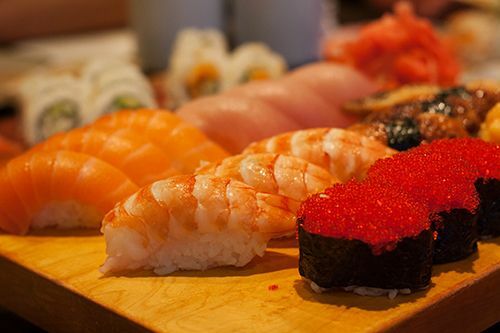 Back in the summer of 2012, I was down in Vancouver and Seattle, which gave me plenty of opportunity to indulge in amazingly fresh fish and sushi. 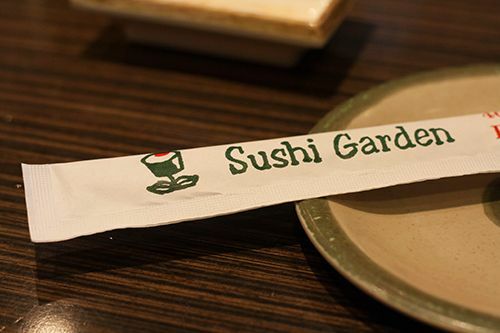 A favourite restaurant amongst my family members is Sushi Garden out in Burnaby - I had never been there before, and was excited to see what the place was all about. If there's one thing I learned during my visit, it's that Sushi Garden is always busy. Oh man, seriously. We had decided to visit on a Thursday night, thinking it shouldn't be too long of a wait for a table of six, but we were so wrong! The line had formed out the door to even get your name down for a table, and we were told it was going to be a 30-45 minute wait. Luckily Crystal Mall and Metrotown were literally right across the street and we had something to do to kill time. I do have to note though - they said that when the time came to get our table, if your entire party wasn't present, you would lose your table! When it was finally time for us to get seated, I noticed how great of a turnover this restaurant gets on a daily basis. Most tables were in and out of the restaurant within 45 minutes, because of the quick service. And with a high turnover comes the best food - everything was guaranteed to be fresh and made when ordered. To start off the meal we ordered the spicy tuna combo ($7) which came with kappa maki, a spicy tuna roll and spicy tuna sashimi. The spicy and sweet chili sauce mixed with the tuna was appetizing, but it didn't overpower the fish, and allowed us to taste how fresh it was. As there were 6 people eating, we ordered the Large Party Tray meant for 3 people ($38), which had five different rolls and an assortment of sushi. Honestly, this tray could feed four people, and it did, because of each item having rice associated with it. The rolls were huge, and freshly made as indicated with the warm rice. All the fish was quite fresh, and everyone was happy with the portion size. If only Edmonton could do the same! In order to satisfy my obsession with Tobiko, I ordered two Tobiko Cones ($3.75/ea) - one for me and one for my little sister. We had thought it was probably like a giant piece of nigiri sushi, with just tobiko sprinkled on the top. But to our surprise, tobiko was generously placed throughout the entire length of the cone. Seriously the perfect ending for a tobiko lover like myself, and I'm willing to bet that is the case for all the ingredients inside the cones at Sushi Garden. In the end, the meal came in to under $60 for a group of 6 people to be satisfied, which is seriously unheard of over here in Edmonton. While there wasn't anything very unique, their combinations are full of value. Service is quick, but the efficiency of the workers at Sushi Garden compromises the amount of time spent at the table with customers, and therefore there isn't much service. Don't expect good service, but expect fresh fish, and big bang for your buck! If you don't want to wait in line, there is also the option to order take out, which actually can get you a discount if you order far enough in advance of your pick up time. If I lived down in Burnaby, I would definitely consider this option! I go to Sushi Garden every time I go to Burnaby for work. I love their spicy salmon! However, I don't like the tempura. Good thing I didn't try it then, hey? So jealous that you can get their sushi all the time! OMG Andrea!! This look amazing.... 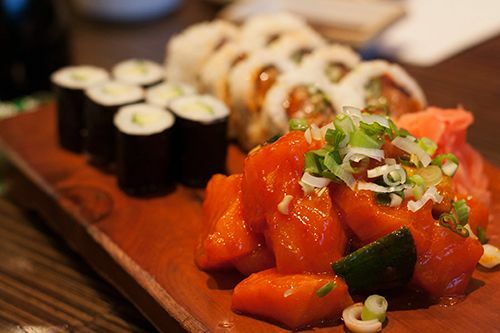 I love sushi! I'm going to have to put this down whenever I go to Burnaby. :) AND I'm a huge tobiko lover too and those cones look amazing!! So hungry now. haha..
Oo, looks really yummy. Have a nice day. 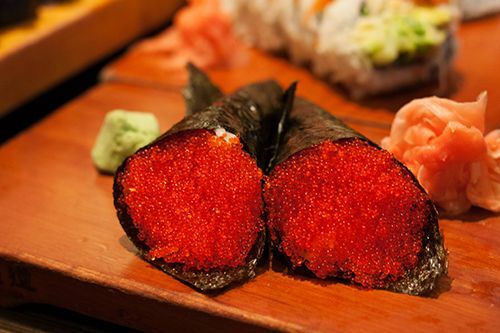 Ooo I love tobiko too! I'll be on the west coast in May. Hopefully I can check this place out too! It looks so good - it's been too long since I had sushi! Sushi Garden really IS always busy! I haven't even made it out there... but I don't tend to go to Burnaby anyway since it's so far. Great post! I haven't been to Sushi Garden in YEARS due to..some..sanitary issues..they've had. If your ever in Burnaby again, try Sushi Oyama (it's about 3 blocks away) and is in a BEAUTIFUL heritage building. Line ups are MUCH shorter and the food is better (in my opinion). And IF you go, you MUST try the mangodise roll (or any of their specialty rolls). Ive actually never liked sushi.. I really want to start liking it though since everyones obsessed! omg'd the presentation and freshness of it looks so fabulous Andrea! hahaha i bet you and your party enjoyed it. 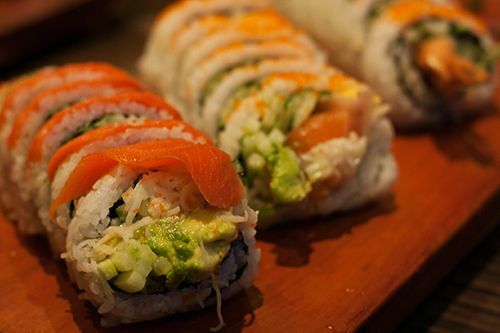 i don't even eat sushi and this looks BEYOND delicious! great review. Andrea, this is my go-to sushi place in town. It's so good and cheap. Have a great Easter weekend! 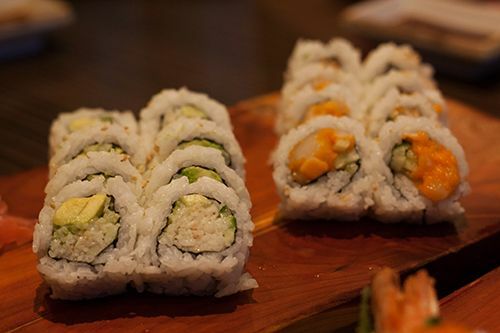 love sushi and also your blog! It's so nice!!! I follow you! Manicure Monday: Suzi's Hungary AGAIN!